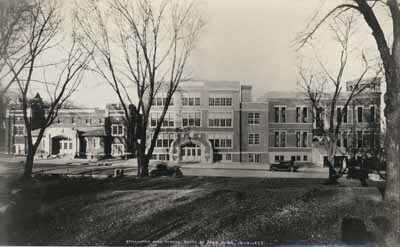 Stillwater High School in 1939. NOTES A fire in the school was discovered at about 6 PM on Monday December 23, 1957. School was out for the holiday recess, and nearly 90 fire fighters from the surrounding communities came out to fight the blaze. Over the night the flames could be seen from miles around, and by morning fire fighters had used more than 1.14 million gallons of water to fight the fire. 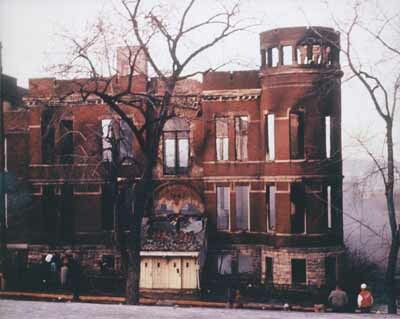 Superintendent Earl Vitalis estimated the total loss at $250,000, in which the schools band department lost an estimated $10,000 in music alone.One other causality of the fire was the Stillwater Fire Departments 1914 American-France pumper, which developed mechanical problems on the way to the fire and was put out of service. The high school students would attend classes in various places the rest of the year. Then the school board authorized the construction of a new high school that opened in 1960. 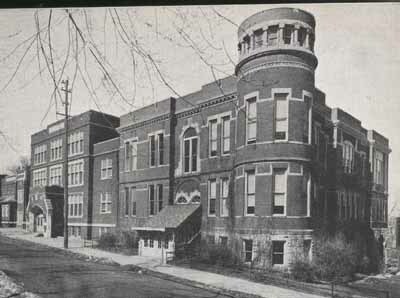 Since then another Stillwater High School has been constructed and the old one was use the Stillwater Junior High until a new high school was built. Today, part of the old school is being used to house corporate offices for Cub Foods and the other part was torn down to make way for a parking lot. 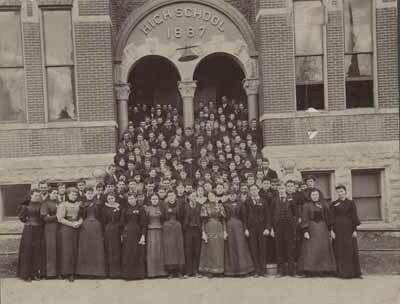 Stillwater High School junior and senior classes, 1895-1896.